Playgrounds are not what they used to be. We know so much more today about the developmental benefits of play from cognitive, physical and social perspectives, and equipment has become that much more sophisticated to cater for the increasing needs of our communities. However it is the design of the overall space that ensures its ultimate success – its interrelationship with adjacent uses and consideration of the needs of its users that creates environments that tie in to the character of each setting and encourage the community to interact in the space and stay longer. 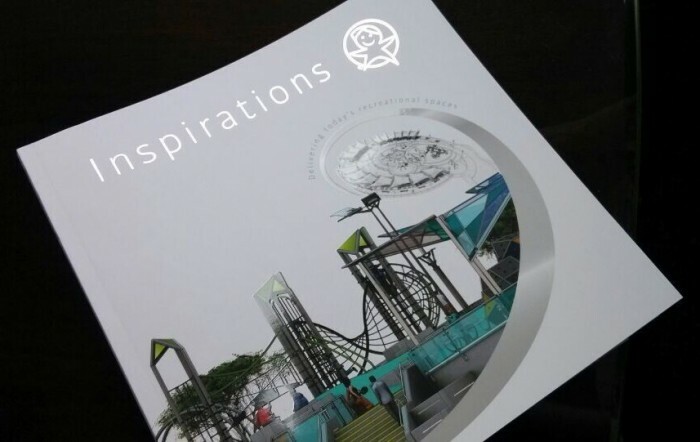 We have created our book of Inspirations – exploring the use of recreational space throughout natural, themed, aquatic and urban settings. Be it the health aspects of encouraging a more active outdoors lifestyle, or the increasing prevalence of sensory processing disorders and physical disabilities – our community’s needs in their use of recreational spaces has become more demanding than the traditional playground in the corner of the park. Our designs demonstrate that a space can be sensational, diverse and inclusive, captivating user groups, enticing them outdoors to play, communicate, socialise – and ultimately to become happier healthier communities. BE INSPIRED and contact us if you would like to receive a physical copy of the book.